Indian Railways has announced the vacancies for various posts from the beginning of this year. 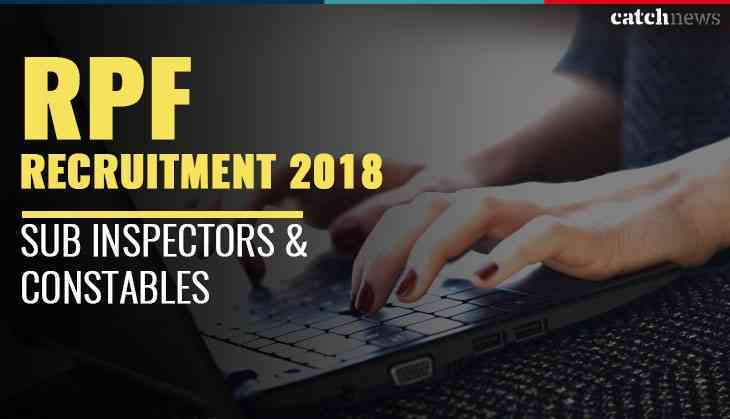 Recently, Indian Railways has announced the official notification for the recruitment to the posts of constable and sub-inspectors in Railway Protection Force (RPF) and also for the Railway Protection Special Security Force (RPSF). Railway Board has invited applications for 9739 posts. In another big opportunity has announced by the Railway Recruitment Board (RRB) for women of the country. Now, 50% seats will also be reserved for women, which is big news for the aspirant. Now women will also get the equal rights likewise, men in India for fulfilling their dreams to get the government jobs in Indian Railways. It is worth mentioning that Indian Railways Minister Piyush Goyal has already made this big announcement in the month of March 2018 during an event in Lucknow. The Railway Recruitment Board has invited the online application forms on a total of 9739 posts, in which 50% seats are reserved for women. It means, now will get over 4800 seats in this recruitment which is a big opportunity for them. Therefore, all the women candidates who are interested in this post can apply now through online mode on the official website of Indian Railways till 1st June 2018. As we all know that, this year, Indian Railways is going to conduct the Railways examination through online mode which is one of the biggest online exams in the history of Railways. Therefore, the examination for RPF and RPSF will also be conducted through Computer Based Examination (CBT). Hence, the selection of the candidates will also be based on CBT as well as Physical Test. For more information, candidates must check the official notification released by Indian Railways. The recruitment will be done for the two posts i.e. Constable and Sub-Inspector.